Instabill was named among the best merchant account providers among several industries by credit card processing review website CardPaymentOptions.com, the same folks who gave Instabill an ‘A’ for merchant services in February for the third consecutive year. In 2015, CPO gave us plaudits in nine different categories. No Ides of March here: Instabill was previously named among the best merchant account providers for adult content on Mar. 9. Additionally, it was similarly cited for payday and title loans on Mar. 11; and most recently for the best satellite T.V. repair merchant accounts Mar. 15. It’s been a terrific month for Instabill on several levels, but we’re not about to rest on our laurels. What Makes Instabill Among the Best Merchant Account Providers? Instabill was lauded for many of its services between the three industries including, foremost, dedicated merchant account managers and easy contact, secure online payment gateways and a very low complaint rating. Additionally, Instabill was cited for providing merchant account solutions for MATCH-listed merchants as well as ACH options. Located in Portsmouth, N.H., U.S.A., Instabill’s expert merchant account managers are on hand Monday through Friday from 8 a.m. until 6 p.m. 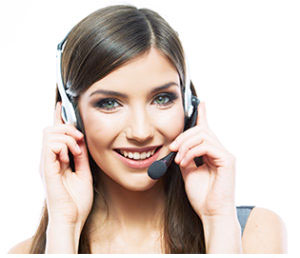 Select the live chat option below or speak to us directly at 1-800-318-2713. I am looking for a merchant account that can be used with a partnered gateway that can integrate with Volusion. My company is an e-liquid manufacturer based out of London, Ontario, Canada. Any info would be greatly appreciated! Hello Scott — Believe we can help you. One of our merchant account managers will reach out to you shortly.